“The Tail of the Raccoon: Secrets of Addiction” is a scientific short story set in the Eastern Woodlands of North America. The story follows the adventures of a raccoon, called Sign Tracker, and other inhabitants of the Great Forest. 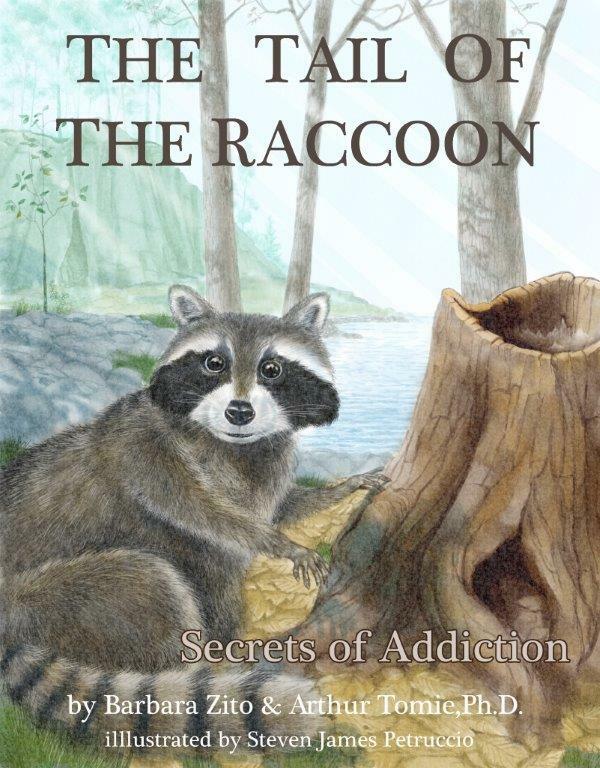 What is unique about the story is that the adventures of the raccoon are based on scientific studies of the hidden and overlooked causes of drug addiction. Sign Tracker develops a friendship with Mapache, who is a blind Native American warrior, and agrees to deliver kindling sticks for Mapache’s fire. In return, Mapache agrees to provide the raccoon with delicious food rewards. However, after awhile the raccoon begins to have problems. The food rewards cause a peculiar change in the behavior of the raccoon, and the rings on the tail of the raccoon begin to fade. After suffering the consequences of losing free will and self control, Sign Tracker comes to realize that he must stay away from the signs that remind him of Mapache’s rewarding foods. Arthur Tomie, a professor and addiction researcher at Rutgers University, and Barbara Zito, a creative writer and coauthor of scientific manuscripts, have pooled their talents to bring a greater understanding to the general public of the unrecognized causes of the transition from drug use to drug abuse. As noted in the Educational and Scientific Commentaries that are included with the story, sign-tracking is a well-established scientific phenomenon which speaks to the remarkable power of reward cues to control and direct behavior. The story reveals that the impulse to sign-track is stronger than the intention of the raccoon, which is clearly to eat Mapache’s delicious foods. “The Tail of the Raccoon: Secrets of Addiction” is the first of the three stories of The Sign Tracker Trilogy. The second and third stories elaborate further on sign-tracking and its role in the drug addiction process.